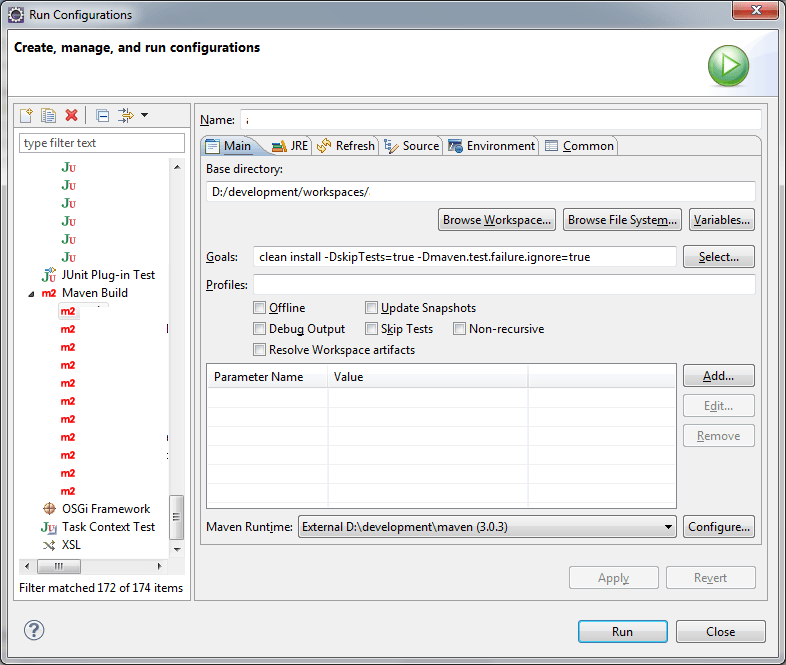 I am used to clone git projects and to import maven java projects from a git repository within Eclipse. However Eclipse is not the only one java IDE, it is for sure the most popular one. Recently I proceeded as usual, just as described above. I tried to import them within my Eclipse workspace and the tool couldn’t recognize them as Eclipse projects. Then I noticed that the files .project and .classpath were missing in the project folder and it was not recognize as a java project by Eclipse. It is quite simple to generate a java project skeleton with Maven. And it is relatively easy to convert a Maven generated Java project to support Eclipse style project. From a command prompt navigate to your java project directory, where the file pom.xml is located. Then run the command. The first time you run this command, maven might download all required dependency packages in order to convert your project. You should notice that 2 new files have been generated. After you run the previous command and the file are created, you should be able to import your project into Eclipse and start your application development.